AJ’s first surgery went as well as could be hoped. On his 2nd birthday, AJ was diagnosed with a brain tumor. This website was designed by friends – with love – to enable the Hock family to let us join them in their fight against cancer. In early September 2014, MeiLani Hock noticed that in addition to sporadic vomiting, her son AJ kept falling over while playing with his older brother and sister. She asked AJ to walk to her. Instead of running to her arms, his veered sideways and only made it two steps before he fell and with his big cheeks and beautiful smile he laughed like it was all a big joke… But MeiLani knew something was terribly wrong. AJ’s first MRI revealed a large brain tumor. 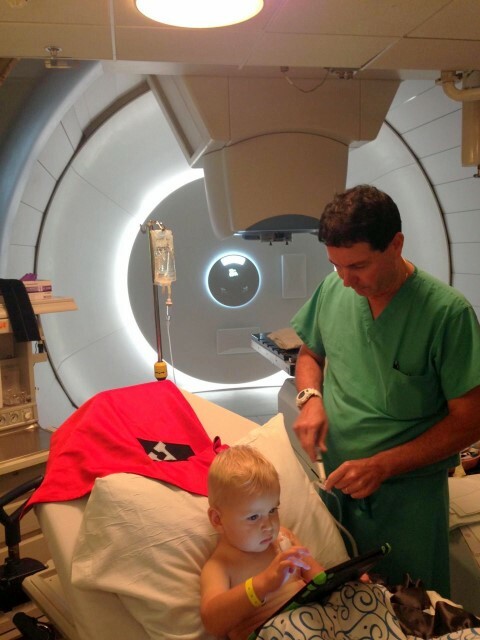 AJ under the incredible proton therapy machine. At Duke, AJ was immediately admitted and scheduled for surgery the following day… his second birthday. 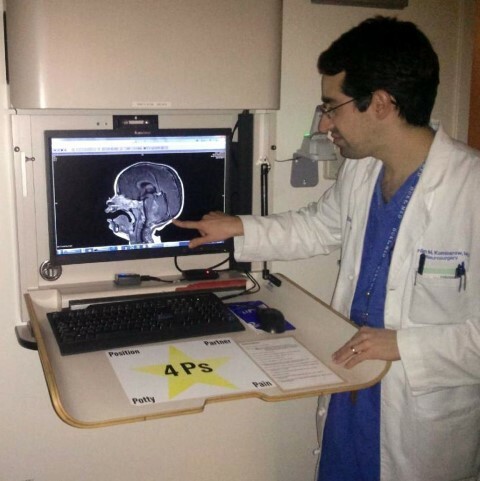 The doctors were able to remove 99.7% of the tumor, but ependymoma is aggressive. The doctors told the Hocks that AJ still had a long road ahead of him and they referred him to the University of Florida Health Proton Therapy Institute in Jacksonville, Florida for seven weeks of cutting-edge treatment. 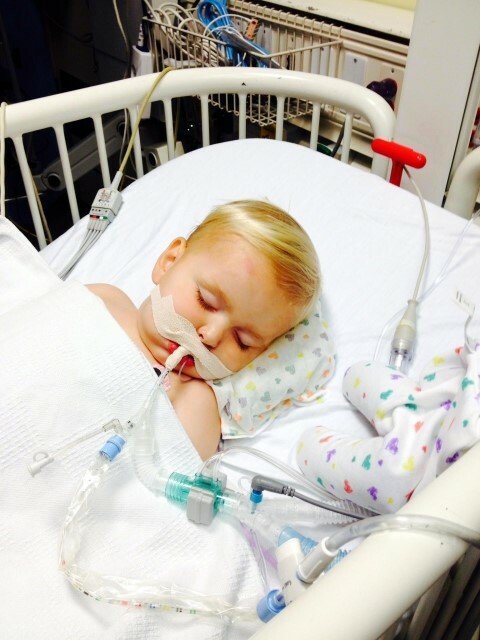 The prognosis for cases like AJ’s is a 60% likelihood for living a full life. His doctors say that if this had happened 10 years ago, his success rate would be less than 10%. Thanks to this new form of proton radiation treatment, the success rate has drastically improved, but it’s still not great. We hope and pray we are in that 60%, but we know that the Lord has a plan for each of us and our families. Have other questions? We’ve compiled a list of Frequently Asked Questions that may help. Read our blog for updates on AJ’s treatment. Want to help save the cheeks? Check out the list of ways to help the Hock family. Don’t forget to follow us online! ClaudiaSo great they caught it on time. Jimae kenneySo glad! I think we should all DO Disneyworld again!